Are you currently traveling in Romania? 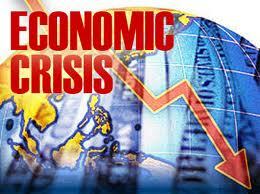 Perhaps you have heard about the economic crisis that they are currently experiencing. Like most of the world today, the economy is not doing well for those in the working-class. Those that have money are continuing to make even more, while those struggling are trying to simply make ends meet. As a result of this, the economic crisis is creating social unrest, making it, perhaps, a troubling time to travel throughout Romania. If you are trying to find a car rental upon arriving, this is actually something that is easy to do. You can find the best prices for car rentals prior to booking your trip. In this article, we will provide you with information on how to save money on your car rental in Romania, and also some things to consider in regard to the economic crisis that is occurring in this country right now. Usually occurs when you are booking your flight. The first tip that you always want to use is to never purchase a car rental by itself. For instance, when you are purchasing your ticket to fly to Romania, you will want to get a package deal. Even if you do have a hotel to stay at, or if you are staying with friends in Romania, you need to book your car rental at the same time that you pay for your flight. This will almost guarantee that you will pay very little money, or no money at all, for the car rental itself. Of course, there are applicable fees and taxes that may be applied. But when you book your car and plane tickets simultaneously, you can save hundreds on the rental itself depending upon how long you were staying in the country. The next thing you want to think about is the economic unrest of the country of Romania. It is a country located near the Black Sea, adjacent to Serbia and Hungary. As with most countries worldwide, the economy is currently suffering with its gross domestic product dropping significantly during our global recession. Although foreign investment has been a major contributor to this country to help with its exports which include textiles, raw materials, software and vehicles, it is trying to make a comeback despite economic unrest worldwide. Therefore, when you visit this country, keep this in mind as it may play a large role in the type of experience that you have while visiting Romania. Hopefully these tips on how to purchase a car rental for your trip to Romania will save you some money. Also, by considering the economic crisis in Romania right now, you will be able to handle any social or economic changes that occur while you are in the country, allowing you to properly prepare and still have an excellent time while visiting this country.